Orbbec has been working for the past three years to develop the best 3D cameras on the market as well as to create an entirely new category of 3D technology: a camera with a built-in, fully functioning computer. Now we’re ready to share our new device with you. 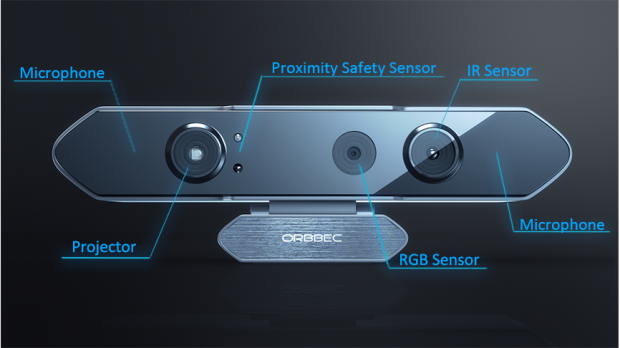 Orbbec Persee is the world’s first 3D camera-computer. It is a versatile, low-cost device that can fit in the palm of your hand. It can plug into your TV or run without a display, and you can interact with it entirely through the built-in 3D camera. We want artists, hackers, creative coders, and pioneering developers to use Persee, give us feedback, and make 3D experiences that take intelligent computing to the next level. We’re ready to start mass producing our devices and we’re looking for Indiegogo supporters to back our campaign to raise the funds we need to bring Persee to the world. It’s clear that Orbbec “gets it” and really wants to support new forms of experimental interaction design and creative exploration. Their charming little Astra depth sensor is a tidy, cross-platform, easy-to-use (and USB bus-powered!) device that actually works with today’s operating systems. And their Persee device is an altogether novel beast that will turn robotics on its ear and revolutionize how we track bodies in space. Clip it to the ceiling and you’ve got skeletons streaming over OSC! This is going to be hella fun. 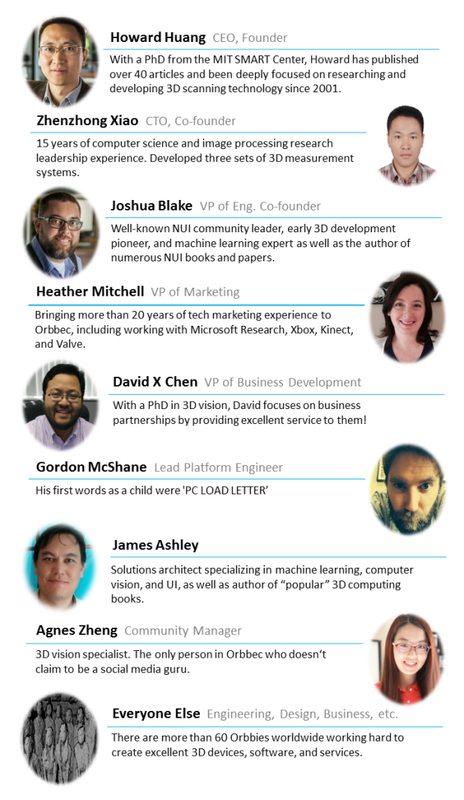 The Orbbec team’s dedication and expertise never ceases to amaze me. It’s no surprise they are now leading the creation of a new category of 3D devices with the introduction of the Orbbec Persee camera-computer. 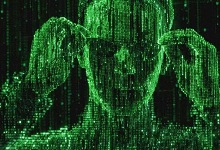 It is a long awaited and much needed catalyst for the development of creative, intelligent computing experiences. Reaching this level of 3D sophistication, at an affordable price, is groundbreaking. My company has been building interactive production applications for 3D cameras for many years, but despite how promising some of the early technology has been; it still isn’t good enough. Orbbec is solving many of the core quality issues that have prevented gesture from becoming a norm by which we interface with computer systems. I believe them when they say they are committed to doing 3D right. This is the world’s first 3D camera that is also a fully functioning computer. We designed Persee with a powerful ARM processor and our Astra Pro 3D camera built in. This unique combination enables creatives, coders, makers, and developers to build creative, intelligent computing experiences. 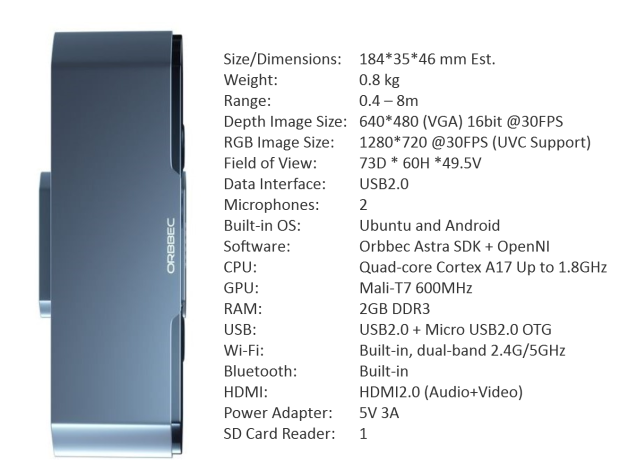 What is Orbbec Astra Pro? In addition to being built into our Persee camera-computer, Astra Pro is also available as a best-in-class standalone 3D camera which includes our proprietary 3D microchip and a 720p color sensor. It has superior depth resolution, the lowest latency on the market today, and an exceptional level of accuracy. With a 0.4m – 8m range, Astra 3D cameras are excellent for a wide range of scenarios, including gesture control, robotics, 3D scanning, and point cloud development. Just want a standalone Astra 3D camera? Astra Pro, a best-in-class 3D camera with our proprietary 3D microchip and 720p color. Astra, which includes VGA color and is the ideal 3D camera for individuals and businesses that need a device that’s compatible with OpenNI for their existing apps. Digital & Interactive Art—If you’re an artist, you can build interactive experiences and installations. Persee can recognize & respond to people in real time and can create superb colored point clouds visualizations of our world. Orbbec will support several creative coding frameworks, including Processing, openFrameworks, and Unity 3D, so you can focus on your creative vision. Maker Projects— With Windows, OS X, Linux, and Android support, Persee’s 3D camera is excellent for makers and hackers. Create highly accurate 3D scans for your 3D print projects. Add vision and autonomous navigation to your drones and robotics projects. You can even use Persee’s powerful ARM CPU as your robot’s brain. Home & Work—Tinker and automate with your daily routine. Persee lets you track and respond to humans, and even see in the dark. Deliver your next presentation slideshow via gesture. Automatically track your cat’s movements. Control the lights and music at your next house party. Turn your ideas—both the practical and weird—into reality. Research—Researchers worldwide need state-of-the-art 3D cameras for a variety of projects, including work that’s focused on machine perception, accessibility, early childhood education, and education therapies. Our Persee camera-computer is excellent for research that requires computer vision, people and object tracking, and virtual and augmented reality. Coding platform—Learn to code, or use it to teach others. Go deep with Linux development with Persee. How better to learn programming than a computer that can respond to people, objects, and environments? 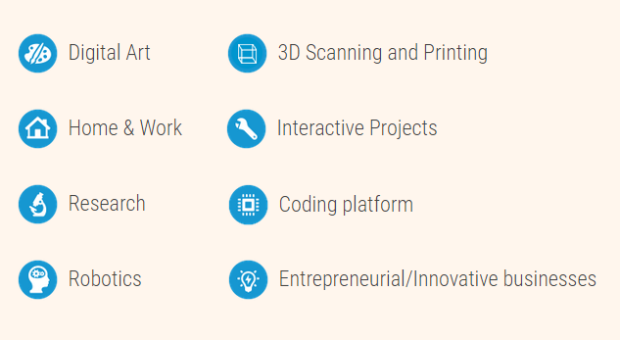 3D cameras appeal to individual developers and creatives as well as entrepreneurial & innovative businesses. Now, commercial applications can be even better with Persee: manufacturing & industry, workplace and vocational training, robot assistants, healthcare and physical rehab, retail, home automation, education, gaming, and more. Longest Range – With a range of 0.4m – 8m, Orbbec 3D cameras are excellent for a wide range of scenarios, including gesture control, robotics, 3D scanning, and many new areas not possible until now. depth image (left) and color image (right) from the wall behind her at 8m distance. Exceptional Accuracy – Orbbec 3D cameras offer depth measurement accurate to within 0.5 centimeters at a distance of 2 meters, enabling developers to create apps with unparalleled clarity and precision. Orbbec Astra 3D cameras can clearly resolve fine details of the human hand, a toy, and even the thickness of a cd case. Highest Resolution – With smoother gradients, precise contours, and the ability to filter out low-quality depth pixels in a way other cameras cannot, Orbbec 3D cameras are exceptional for 3D scanning and point cloud development. Astra Pro also includes a 720p HD color camera and the ability to stream all of this data via USB 2.0. Lowest Latency –Astra Pro is the most responsive 3D camera on the market today. The time between action and response feels instantaneous—apps will feel as active and alive as human interaction. Our mission is to create intelligent technologies for every human, everywhere. For computers to be intelligent, they need more than the ability to make sense of the world around them—they need to see the world in 3D. And for intelligent computing to flourish, excellent 3D cameras that are affordably priced and universally available will be a necessity. That’s why our team at Orbbec has spent the past three years getting 3D right—perfecting our Astra family of 3D cameras and designing Orbbec Persee. We believe that in the future, it will be hard to remember a time when computers didn’t have 3D cameras. 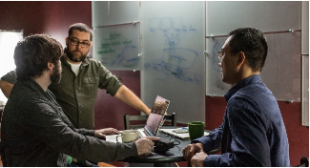 It’s great to see a company that has been working with developers from day one. From the little things, like power over USB, having a built-in quarter-inch mount, to the really important things like being completely cross-platform, providing high quality depth data, and avoiding ambiguous legal restrictions, they’ve done everything right. 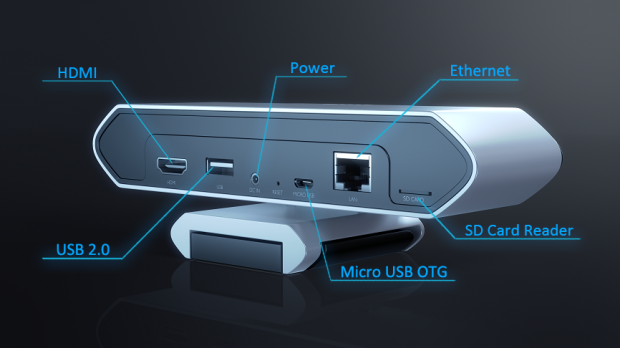 This is the successor to the Kinect. This Orbbec device could lead to a new golden age of open source 3D hacking. It puts 3D scanning and body tracking within the reach of designers, students, artists, and creative coders of all types. I can’t wait to use it in my own projects and to see what the community does with it. Orbbec Persee and Astra cameras will be the standard for DepthKit volumetric filmmaking, and any creative project using the depth data aesthetic. Co-founder of Specular.cc. Creator of DepthKit. For museum installations, an integrated 3D camera-computer like Persee will lead to faster development, more stable installations, and happier clients. This is something I’ve been waiting for and look forward to using very soon! At last, there’s going to be a handy depth device out there made by ‘one of us’. All the other hardware suppliers have distinctly opaque engineering departments. But Orbbec comes from people who truly understand open development from the inside out, with an engaged understanding of how to develop something like this for the community with an eye to the future of developing with depth devices. The cross-platform compatibility across operating systems, backward compatibility with OpenNI, and easy portability are solutions to the nagging problems for the creative depth-sensing community. This feels like the “Impossible Project” for depth cameras was made possible. I’m thrilled to see OpenNI-compatible, cross-platform hardware back on the market. And anybody who’s played with a Raspberry Pi and PiCam can imagine the possibilities offered by a fully-programmable standalone version. What I love about Orbbec is they are thinking about the problems they are solving with a long term view. Sure, they are developing amazing 3D cameras, yet they’re doing a bunch more than that. They have also designed their own 3D chip, are developing an SDK, and have their own manufacturing line so they can control cost and ensure device availability. Orbbec understands that vision based tech isn’t just about the hardware, it’s about the whole ecosystem and the systems that power the hardware. l Does the product work yet? Yes! We already have a working product. We’ve been developing this technology for three years with an incredibly talented and smart team. Our 3D sensor is ready for developers, and in fact some of our early partners have already been testing and using the sensors for several months. l Can you actually mass-produce these? Can you ship on time? Yes! We have already invested a great deal into establishing manufacturing lines dedicated to mass producing our building our sensors. That’s why we’re ready to ship the Astra cameras immediately after the campaign ends. The Astra Pro and Persee devices need a little more time to prepare for their manufacturing, but we are confident that we can produce and ship those products to our Indiegogo backers on schedule. l Are your products certified for sale? Yes! The Astra camera already has approval from FCC, CE, IC, and CB, and is ready to ship world-wide. 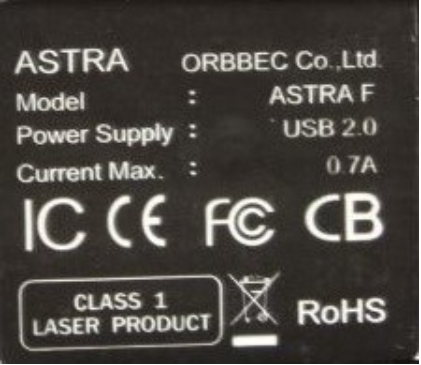 The cameras inside Astra Pro and Persee are mostly the same components as in Astra, and the individual components that make up the computer in Persee have already passed certifications when used in other products. With our experience certifying Astra, we are confident the remaining certifications will be no problem. l I heard this type of camera uses a laser. Is that safe? Yes! The IR projection module uses an infrared laser; however, the laser is very low power (class 1, similar to a common laser pointer) and the laser light is passed through a proprietary set of optics including a diffraction grating. This causes the light to be spread out over a very large area, which means the light is safe to the eye at any distance. Just to make it even safer, especially around children, we have added a proximity safety sensor to all of our 3D cameras. The safety sensor is located next to the IR projector. If it detects a face-sized object within 0.2m, it will shut off the laser until the object goes away. Legally, we are well within the laser and light safety requirements, but we went beyond those just to ensure everyone’s safety. l Manufacturing is complicated. What if there are supply problems or component shortages? We have worked hard to build our supply chain with reliable component vendors in multiple countries. We also own our own production lines, which gives us complete control over the production process and timeline and the quality and cost of our product. Even so, there are unforeseeable risks, such as natural disasters or other events that could disrupt the supply chain. To handle this, we have backup vendors for every key component. Moreover, we own all of our reference designs and can easily find new suppliers that can fulfill our needs. l There are lots of patents out there. Do you have any legal risks? We designed and developed all of our hardware and software in-house and have several patents pending on our products. During our three years of research and development that went into our 3D cameras, we developed significant improvements upon the state-of-the-art of 3D sensing and reconstruction. All of this means that we have created and own unique inventions and intellectual property that are defensible to any challenge. 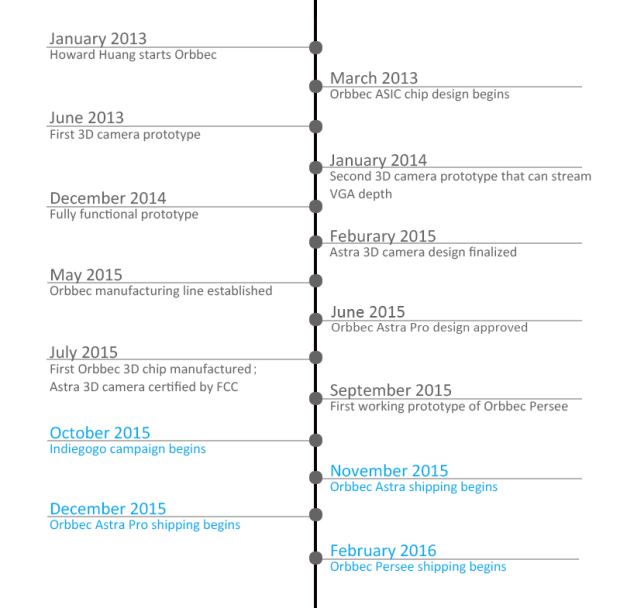 Q: How does Orbbec compare to other 3D devices on the market today? A: Our sole focus on 3D computing enables us to produce superior 3D hardware as well as a platform for creative coders and pioneering developers to create amazing 3D experiences. The company’s end-to-end investment in 3D technology includes developing a proprietary microchip that can process depth data in real time, and establishing its own manufacturing line to control cost and quality. No other company has the same level of focus, commitment, and investment. From silicon to the cloud, Orbbec’s end-to-end investment in 3D technology means we can offer state-of-the-art technologies at prices that were unimaginable until now. Q: Do you plan to bring these products to the consumer market? A: We are currently focused on enabling developers to create amazing 3D experiences. We are excited about the potential of bringing these devices to the consumer market in the near future. Q: When will your products ship? A: Supporters can expect to see Astra 3D cameras ship immediately at the end of the campaign. Astra Pro 3D cameras will start shipping by the end of 2015. And we expect to be able to start shipping Persee in early 2016. Our supporters will be updated regularly on status. Q: I live outside of the US. Can I still contribute to the project and be eligible for rewards? A: Yes, please! We’re happy to let anyone around the world experience our 3D technology and we support international shipping. World-wide international shipping is very expensive, but we decided to charge less than the actual shipping cost because we want to encourage developers everywhere to use our products. International shipping is only $50 fixed worldwide (except for Canada, which receives US shipping prices). Q: Does Orbbec has an SDK? A: Yes! Orbbec understands that creatives and engineers need great tools to build great 3D experiences. 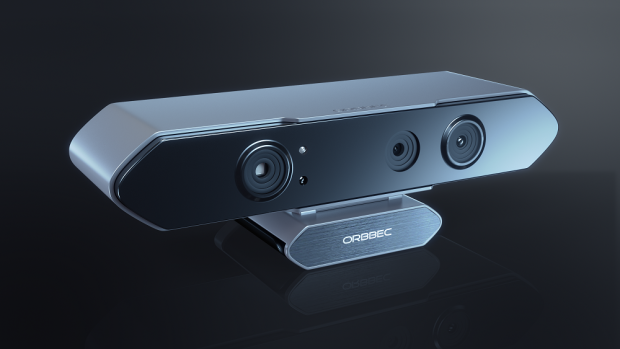 The Orbbec Astra SDK enables developers to begin building new 3D experiences immediately with both the Orbbec Persee and the Orbbec Astra line of 3D cameras. Q: Is the Orbbec Astra SDK cross-platform? A: Yes. The SDK supports Windows, OS X, Linux, and Android, as well as creative coding frameworks including Processing, openFrameworks and Unity3D. Q: What does the Orbbec Persee camera include? A: Persee hardware includes a quad-core 1.8 GHz ARM CPU, 600 MHz GPU with OpenCL support, Wi-Fi and high-speed Ethernet, 2 GB DDR3 RAM, and embedded 16 GB eMMC Flash. Q: Do I need a mouse and keyboard to use Persee? A: At this time, we are focusing on getting Persee in the hands of developers. For developing and debugging apps, developers will need to connect a mouse and keyboard into Persee using USB 2.0 or Bluetooth. We expect that most applications will be developed to use the 3D camera as the primary interface or data collection mechanism. When these devices are ready for the consumer market, we expect that a mouse and keyboard won’t be necessary for everyday use. Q: What is included in the SDK? A: Our SDK is a work in progress (which is another way of saying it’s still a preview version). Today, the Orbbec Astra SDK includes: approachable yet sophisticated API, support for Windows, OS X, Linux, and Android, samples covering the most important aspects of the SDK, robust hand tracking, support for Processing and Native C and C++11 API. Coming soon, the SDK will include full-body skeleton tracking, extensive documentation, the ability to access sensor data from multiple apps simultaneously, and support for additional languages including C# and Java, and additional frameworks, including openFrameworks, Unity 3D, and Cinder. Q: How do developers get the SDK? A: The Orbbec Astra SDK is FREE and can be downloaded at orbbec3d.com. Q: If I’m a developer and I have a technical question, where should I go? Q: Who do I contact regarding investment opportunities? Q: Who do I contact for interview or media requests? A: Please send all press inquiries to press@orbbec3d.com. We’ll get back to you soon.